What will quite possibly be my first MonHan game. I didn't like the combat at all in the MH4 demo., but I'm up for a more traditional JRPG in the MonHan world with beast-riding and those beautiful aesthetics. Mmm. This post brought to you by everything that Jaster hates. Ohh it's getting it's own thread, me & jas have been talking baout the game and X in the MonHan 4 thread. I put the trailer up in MH4 as wasn't sure where to put it as we might not even get the game in the west, then Jas brought up as MH4 talk has quieted down and with MHX coming also there's that Animal Crossing weird type deal just to have a Monster Hunter thread. Easy now, even though the battle system doesn't (wish there was some type of real time evade) appeal to me everything else about it looks superb! I am still open to trying this out if it ever comes to Europe. That is a weird translation for "buddy monster" isn't it? Oh forgot to mention one thing about the gameplay the initial over world bit is clearly built to teach you basic things you do in a main MH games like gather materials/egg quests/mine for ore etc. so this to me definitely seems like a way to widen the appeal of the main series. It's the battle system and story relevance (and aesthetic style, I won't deny) that prop this up over the main series games for me, at first glance anyway. 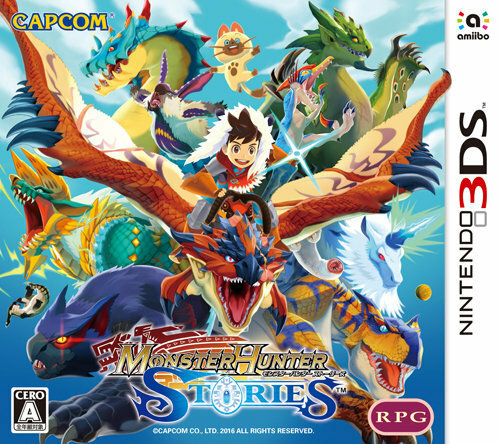 Fair enough but I will say that MH4U improved on the story massively compared to previous games where it was basically hidden away in the quest descriptions from characters you never actually met, in 4U it was the complete reverse as you travelled to multiple towns helping people as you went. EDIT: A much better look at the TGS demo with English translation from GaijinHunter. amiibo and aren't they cute also a new trailer and I think there's going to be a live stream on June 1st. The Nargacuga seems to be the main baddy (no doubt controlled by someone else) which is a smart move since he's a big favourite, also those amiibo while they look superb a part of me thinks the final versions won't be that good not to mention they look giant compared to most. The box art is looking superb also. There is going to be 8 amiibo in Wave 1, and the ones we've so far look cool that could a few worth getting. That is some cool box-art. More amiibo, theses again look sweet. Can we get a UK date Capcom, Nintendo, Anyone? I hope we do get one because I'd imagine importing those amiibo might be expensive/a pain to do. 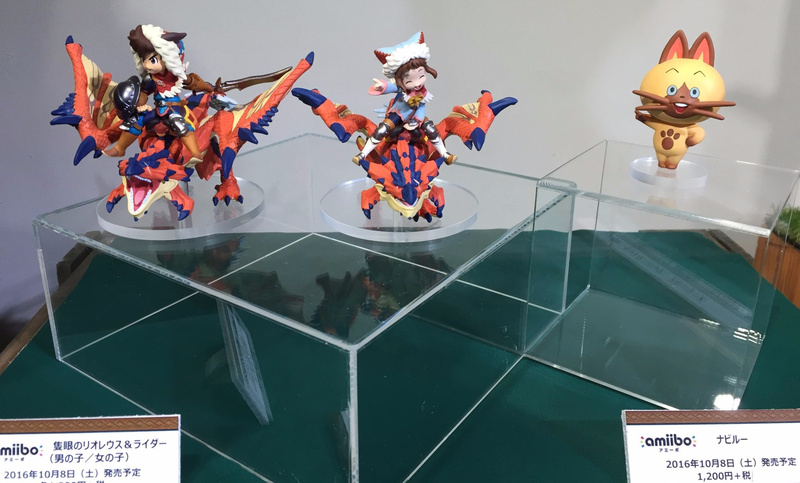 Yeah, also I'm shocking myself I'm excited for a Monster Hunter game just due to the cool art-style and amiibo. Did someone say Amiibo? Yes please. Gaijin Hunter has some videos of the demo up on his channel. A 30 minute play through of the demo. Even though gameplay might be a bit simple & not that engaging for my personal taste the fact you raise Monsters & use them as mounts appeals to me so much. I also found out that this will have multiplayer as well. I'm watching this the noo. If it comes out over here, I'll definitely jump on it but I'm not super excited. 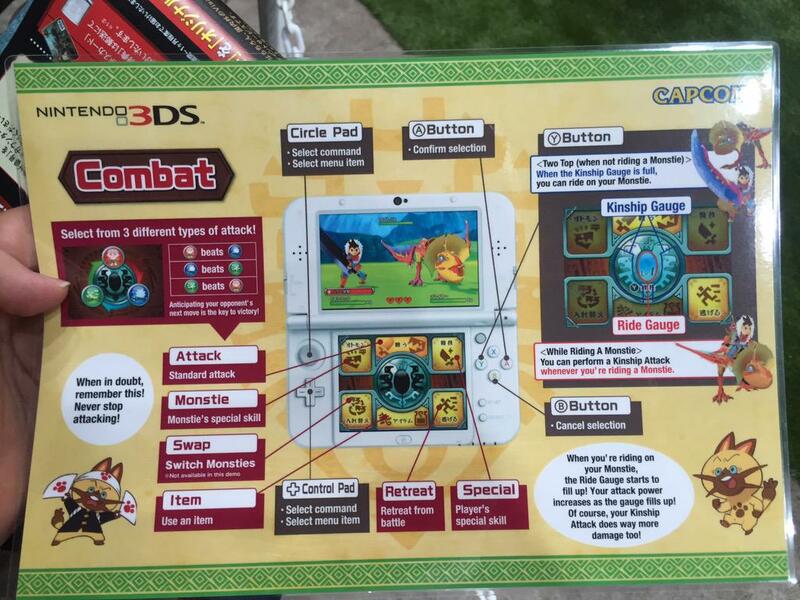 I like Pokémon and I like Monster Hunter, but I don't know if I need them all in one game. A Pokémon that you can skin for warmer armour (possibly talking bobbins here) when you've no further use for it sounds sinister as anything. No thanks, team! It seems to me like the Monster partners in this aren't going to be hunted a la normal Monhan. That would be weird as hell. I'm not sure that I haven't seen enough already to tell me that I'm going to get it. Always room for another JRPG (that doesn't take two hours to start). Peeps still picking this up as saw that it's coming out early September? I've got the it's a 3DS game issue with it and late August / early September likely to be a busy month for games as well.